Volume 3, Edition 28	 Trouble loading? View this email online. It’s fitting that music filled the earliest childhood memories for Rock and Roll Hall of Famer Stewart Copeland, who shared some of those recollections on the main stage at CSUN’s Valley Performing Arts Center where he will perform his score for the classic 1925 silent film Ben-Hur: A Tale of the Christ on March 16. 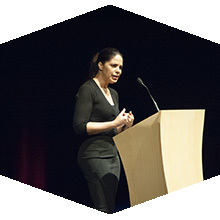 Award-winning journalist and TV news anchor Soledad O’Brien presented a compelling talk on “Race and Opportunity in America,” at CSUN’s Valley Performing Arts Center. O’Brien is one of the nation’s most well-known and respected broadcast journalists. During her career with CNN, NBC News and HBO, she has reported breaking news from around the globe and produced award-winning documentaries. 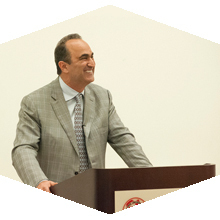 Alumnus and visionary business leader David Nazarian ’82 (Business Administration) shared his success story and gave entrepreneurial insight and professional advice at the inaugural CSUN Nazarian College MBA Program’s Distinguished Speaker Series event. 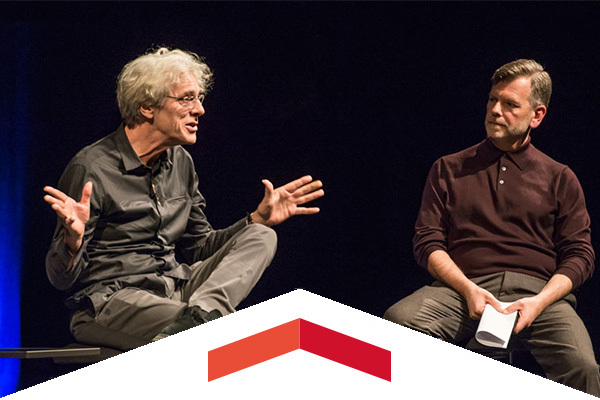 Wed, March 16, 8 p.m.
VPAC welcomes Rock and Roll Hall of Famer Stewart Copeland from The Police. His current muse, the 1925 silent film Ben Hur: A Tale of The Christ, remains a classic in the silent film genre, and he’s joined by the Pacific Symphony Orchestra to perform the score that Copeland wrote for the film. Sat, March 19, 11 a.m. and 2:30 p.m. The CSUN Baseball team looks to continue its great season in a doubleheader against Houston Baptist at the Matador Field. The first 35 fans to attend the 11 a.m. game will receive a free CSUN hat. Wed, March 30, 1 p.m. Award-winning writers, producers and comic artists the Gibbs sisters and MariNaomi will be speaking at CSUN. Join us as we explore how you can help your toddler-elementary school-aged child learn about science, technology, engineering, the arts and math while you go about your life, shop, run errands, clean house, cook meals and much more. Estela Bensimon, a distinguished professor of higher education at the USC Rossier School of Education and co-director of the Center for Urban Education, will present a compelling framework that has enabled colleges across the country to engage in a campuswide process of self-reflection regarding race, equity and student success. Can’t make it to all the games? The CSUN Sports Network will stream nine live baseball and softball games for free on GoMatadors.com.